Watch those creepers in the soul!! Then plant those things that bear great beauty: Love, Joy, Peace, Patience, Kindness, Goodness, Faithfulness, Gentleness and Self-control. Wow. 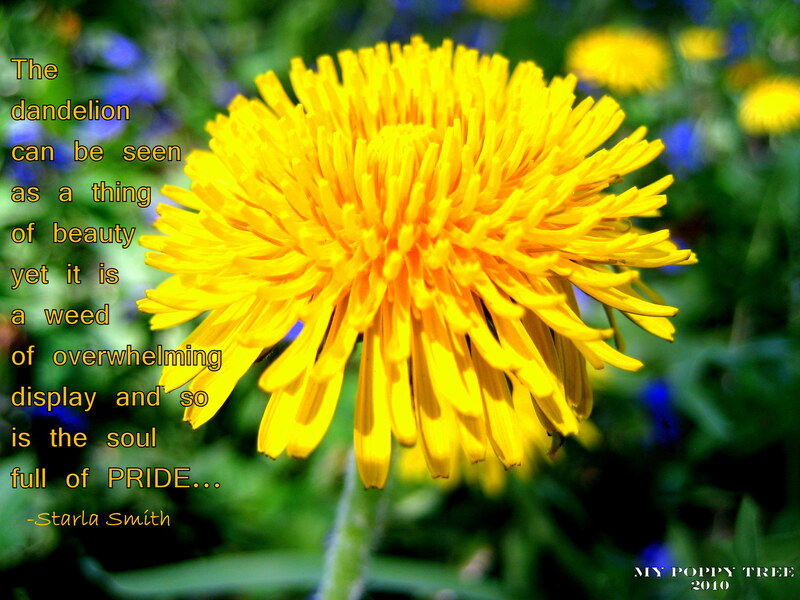 It’s hard to remember that the dandelion is a weed, they are everywhere….growing in abundance! I pray that my soul is full of the fruit of the spirit!